It is our pleasure to bring you the latest Business Review supplement, the Invest in Romania Guide, the first complete and comprehensive source of information for investors and companies looking for local business opportunities. In the guide you will find: in-depth industry analyses, legal and fiscal framework, Romania’s advantages in the CEE scenery, sources of financing, comprehensive analysis of the eight regions of development, an overview of small and medium enterprises and many more. “Romania and the government I lead are fully committed to securing value-added investments that are technologically advanced and innovation intensive, with maximum economic impact. 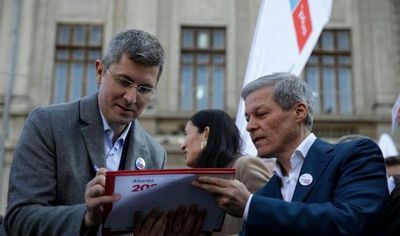 Therefore, I personally take this opportunity to invite foreign companies and international wealth creators to leverage Romania’s competitive advantages and strongly consider our country when assessing opportunities for development and growth,” said Dacian Ciolos. Romania’s positive economic outlook in the last years offered a moral boost for the investors and industry professionals and “the guide features not only the evolution of the most important and attractive industries but also the opinion of specialists who outline the importance of investing in the local business environment,” said Anda Sebesi. 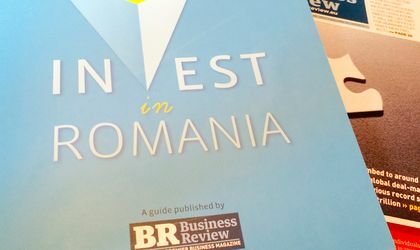 We hope you find the Invest in Romania Guide a useful resource for your business and we invite you to see a short preview of the guide here. Why order invest in Romania? – Get your facts and figures strait on Romania’s macro-economic environment, investment legislation, and funding opportunities. 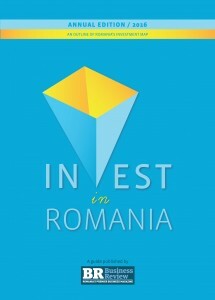 Order the print edition of Invest in Romania Guide below.